Continuum Title Studio is a next-generation 3D Titling and Animation tool that comes as a plug-in for Avid Media Composer with Continuum. While this video focuses on Title Studio for Avid Media Composer, it is also available for us with hosts such as Adobe After Effects and Adobe Premiere Pro. With Title Studio, it’s easy to create 2D/3D vector titling and motion graphics (including C4D and OBJ 3D model import) directly inside the host of your choice. 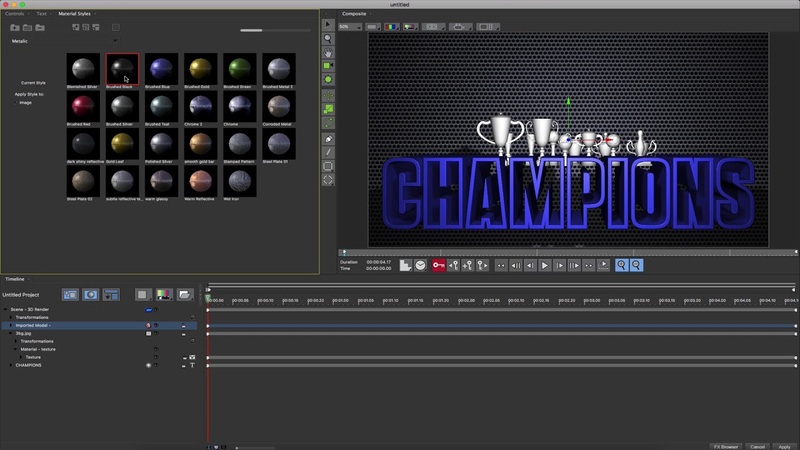 Built on a powerful and accelerated 3D engine, with a modern user-configurable custom GUI, Title Studio gives you the power to quickly design and animate 2D/3D graphics with complete control over lights, cameras, materials, bevels, extrusions, and more. Title Studio includes hundreds of factory-installed presets, which can be accessed via the integrated FX Browser and can be customized for use in any supported host or platform.